DIY Burlap Table Runner with Tassels. Easy, no sew step-by-step tutorial with pictures. Great for cottage, farmhouse or vintage style decor. Last year about this time I shared a couple of burlap runner projects that were easy and required no sewing. I wanted to add this DIY Burlap Table Runner with Tassels but never got it finished. 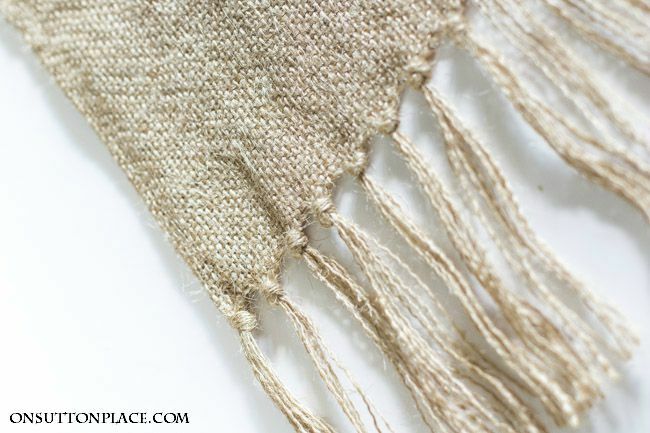 Fringed burlap has a rustic look and is the perfect addition to cottage or farmhouse decor. To dress it up a little, all you have to do is finish off all sides of whatever you are making. In other words, no raw edges. That’s what I did with this runner and it has a more refined look. 1. 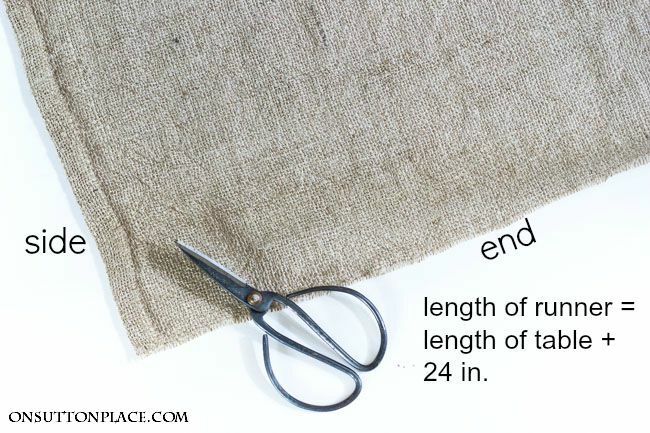 Figure how much burlap you need: Measure the length of your table. A 12 inch drop on each end is plenty so take the length of your table and add 24 inches. For example if your table is 70 inches long you will need 94 inches of burlap. That comes to 2.6 yards so I would recommend buying 3 yards. Always round up the amount you need when working with burlap. 2. Prepare the burlap: This is not a necessary step but one I highly recommend. Washing and drying the burlap will make it so much easier to straighten (and iron.) 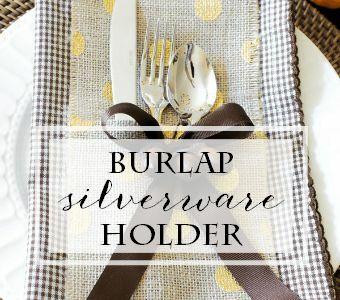 Click HERE for my post on how to prepare burlap. 3. Decide how wide you want your runner: Most runners measure between 15 and 20 inches wide. Add 2 inches to your desired width measurement. Now you should have the length and width of your runner. Following the method explained in my post, cut a piece of burlap to this measurement. 4. At your ironing board turn over the long sides of the runner about 3/4 inch and press well. 5. Now you have a right and wrong side to your runner. 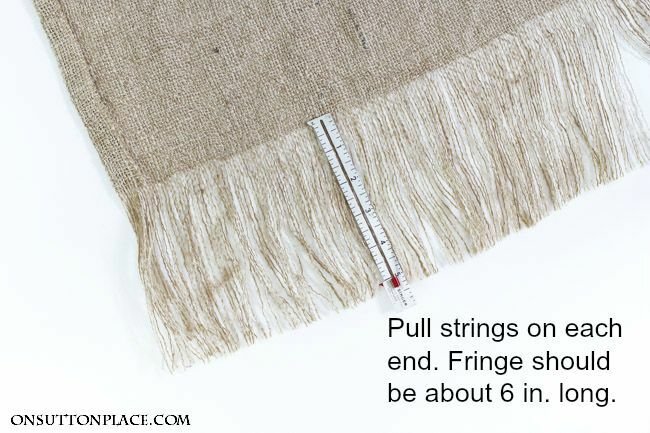 Start pulling the threads from one end until you have a fringe about 6 inches long. Repeat with the other end. 6. 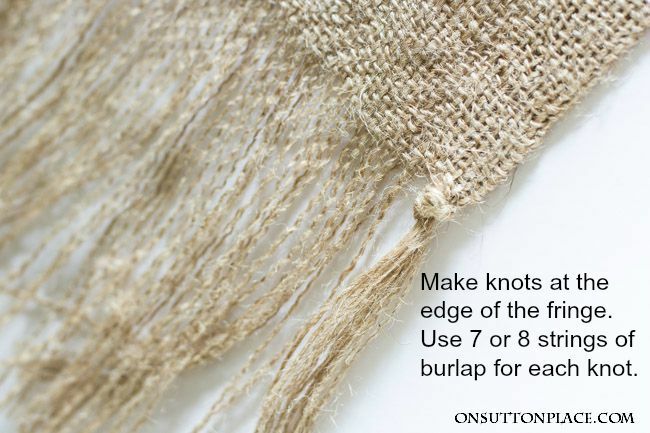 Working from the sides of the runner in, start making knots as close as possible to the edge of the burlap. Use 7 or 8 strings per knot. When you get to the middle, you may have a couple of knots with slightly more or less strings. Just fudge a little to make them as even as possible. Remember this is hand-made so don’t worry about the knots being perfect. 7. When each end is knotted, at your ironing board, tuck fusible webbing tape along the folded-over sides and press well. This will finish off the sides of the runner nicely and prevent any unraveling. Press your runner one final time. That’s it…you are finished! 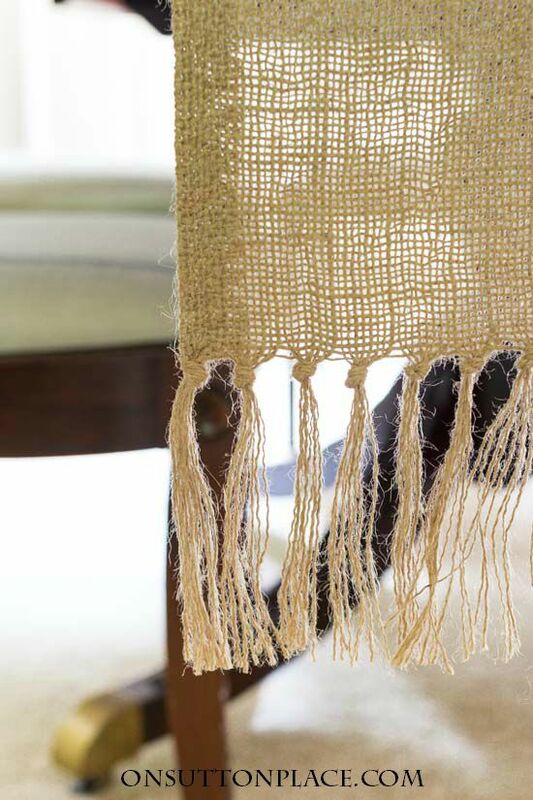 If you like burlap but are not a fan of the unfinished look, this runner is for you. It takes a little time but is easy and the end result is really pretty. 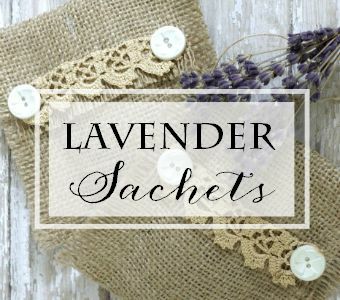 If you’re wondering what to do with the burlap left over after you cut your runner, here are some easy projects that make great hand-made gifts. My first burlap DiY is a success thanks to you! Easy to follow directions and also used information from post about how to wash and dry burlap. You made it look easy and it was! Yay Heidi I am so glad…thanks for letting me know! OMG, Ann! This is beautiful! Now I want to make one using green burlap!!! Hi Ann…..Love this runner. So simple and pretty. I am not a seamstress, so this project is right up my alley. 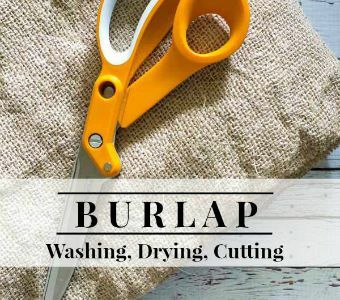 Do you have a problem with the burlap “shedding” even after prewashing? Hi Karen! Well the burlap just sheds naturally. Once you wash and dry it plus shake it out most of the shedding is behind you. It’s very important to shake the daylights out of it! i just bought some burlap to trim out my family room curtains, so your post on washing and preparing it came at just the right time. LOVE this runner! So simple and stylish. I love this runner. So very simple and easy to make. I would find it just as easy to machine sew the side hems. Either way would be just fine. Thanks for sharing such well written instructions. Yes sewing the sides would work perfectly. I made it a no sew project for those who don’t have a machine! What a simple and stunning project. Thanks this is something i have wanted to do and now i know how. I know you can’t read my mind but sometimes i truly wonder lol Have a great day and thank you Ann. This is a perfect project for me, Ann! I’m not a huge fan of burlap, due to the smell/wrinkle and the ‘slightly-too-country for me’ look, but your excellent tutorial has given me reason to reconsider. 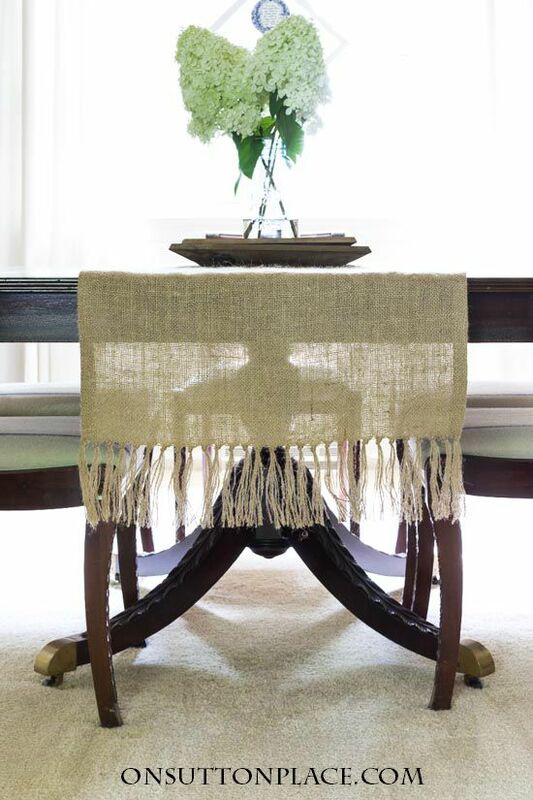 The tassels give the table runner a casual, yet timeless look. Very happy w/your instructions on how to prepare the fabric, as well. Thanks again, Ann. Really love your blog! Thank you Laurie! I wasn’t a big fan of burlap either but the more I use it the more I love it. I’m not a huge fan of raw edges so this was a great alternative. Who knew burlap could look so classy! I love this. I love burlap ANYTHING! I have have made fringe with flannel before but haven’t tried it with burlap. I’m going to give it a try. The little tassels are cute! Another wonderful classic design project, with a twist! You always deliver beautiful projects, clear concise instructions with a great eye for detail! Love your blog! Love your casual, refined style! I’ve not been a huge fan of burlap but have a few items that my daughter has crafted that are really nice. This project makes the burlap look more refined and classic and is so approachable for the ease. This tutorial is also beautifully crafted. Thanks for sharing! You are more than welcome Beverly! I love the look of burlap and I adore its raw texture. Thanks for sharing this project! Ann – You need to put this in your shop! What a fantastic project for fall decor! I am enjoying decorating with burlap a lot lately and will definitely be adding this to my project list. I absolutely love your blog Ann! I loved the burlap fringe table runner. I have made several burlap table runners but decorated them w/lace etc. I thought the simplicity of this one was exceptional. I have never washed the burlap but intend to before I do my next project. Love your posts Ann…. This is why I love your blog, beautiful simple projects with great tutorials that anyone can understand, your instructions are so easy to follow. Thank you, thank you, thank you. Patty you are more than welcome…thank you for the lovely comment! I love your runner Ann! It will be perfect for the upcoming Fall season. 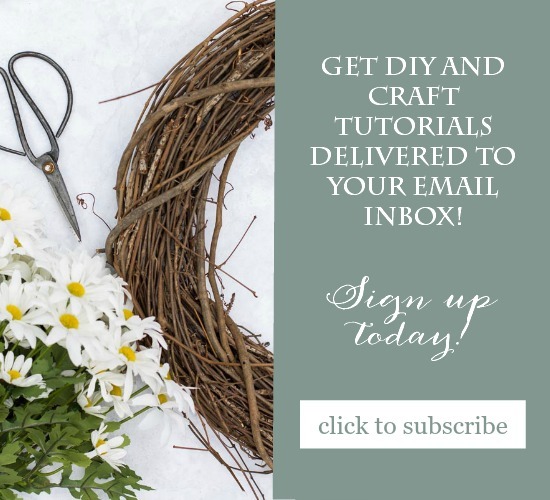 You did it again…another easy project perfect for fall decor! 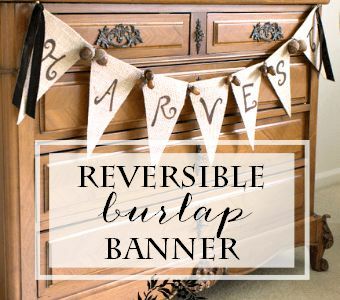 Great tips for working with burlap. Thanks. Have a great Sunday. 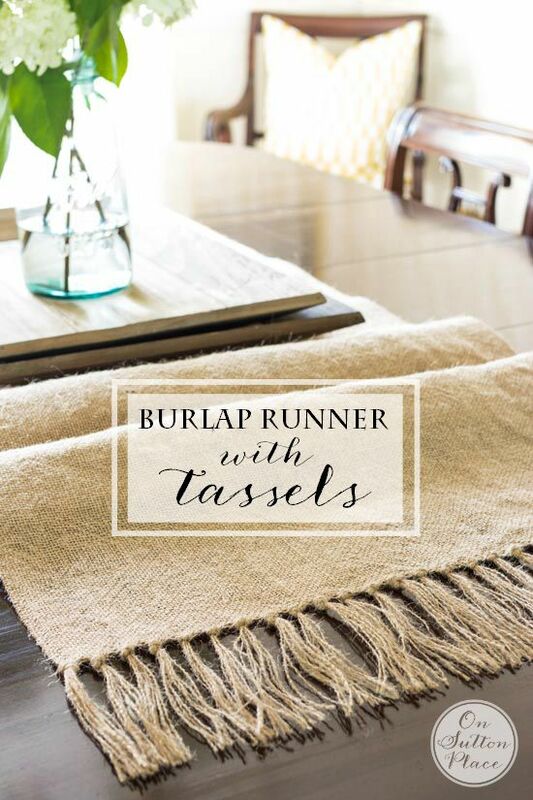 A good step-by-step tutorial on the burlap runner! It’s so appropriate that you post this as the days are hot but the night is cool (great to sleep!). I can almost smell autumn in the air and my mind must shift from summer to fall.